The 21st Tribute to Women of Achievement of Orange County was held on Wednesday, May 8, 2013 at Anthony's Pier 9 in New Windsor, NY. 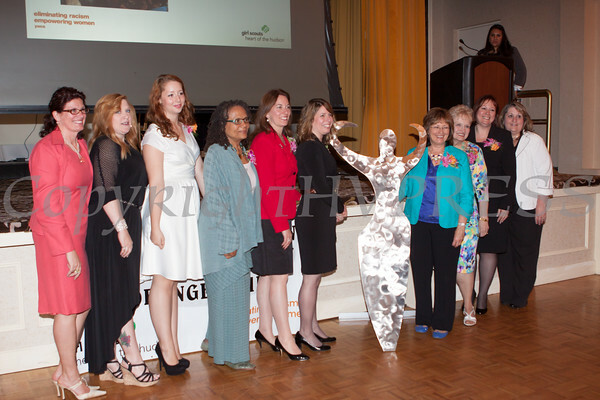 Christine Sadowski, Dawn Wilkin, Erin Rose Collins, Beverly Braxton, Susan Crocker, Nancy Proyect, Dr. Jean Hudson, Anita Manley, Dawn Ansbro, and Eileen Hickey at the 21st Tribute to Women of Achievement of Orange County was held on Wednesday, May 8, 2013. Hudson Valley Press/CHUCK STEWART, JR.